Disclosure: Goldstein and Russell, P.C. represents AARP as amicus curiae in support of the petitioners in this case. Anti-Injunction Act argument audio and transcript. 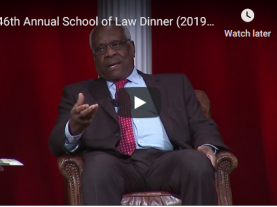 SCOTUSblog’s highlights from the audio are here. Individual Mandate argument audio and transcript. 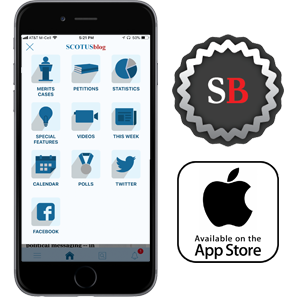 SCOTUSblog’s highlights from the audio are here. Brief of the Department of Health and Human Services et al. Reply Brief for Department of Health and Human Services, et al. Brief for American Nurses Association et al. Brief for the American Association of People With Disabilities et al. Brief for the NAACP Legal Defense and Educational Fund, Inc. et al. Brief for the National Women’s Law Center et al. Brief for Prescription Policy Choices et al. Brief for the Jewish Alliance for Law and Social Action et al. Brief for Health Care For All et al. Brief for Law Professors Barry Friedman et al. Brief for Department of Health and Human Services et al. Brief for Senate Majority Leader Harry Reid et al. Brief for the States of Maryland et al. Brief for Judicial Watch, Inc.
Brief for American Catholic Lawyers Association, Inc.
Brief for the American Center for Law and Justice et al. Brief for American College of Pediatricians et al. Brief for the American Civil Rights Union et al. Brief for Gary Lawson et al. Brief for Center for Constitutional Jurisprudence et al. Brief for Docs4patientcare et al. Brief for Egon Mittelmann, Esq. Brief for the Thomas More Law Center et al. Brief for Virginia Delegate Bob Marshall et al. Brief for Liberty University, Inc. et al. Brief for the Department of Health and Human Services et al. Reply Brief for the Department of Health and Human Services et al. Brief for the Liberty University, Inc. et al.